You want the best for your child, and so do we. Camp teaches kids to be their weird, awesome, selves! It’s hard raising children today. There are so many pressures on you as a parent. You worry about your children, about their school, their team, their future lives. You have an important job – raising your children to be good people. You want the best for your child and so do we. You make choices each day to help your child grow into a caring and confident person and we want to help you on this journey. Pearce Williams was started by people like you - people who want the best for their children. People who want children to grow up to be good people, decent people, caring people. Invest in your children by sending them to summer camp. You will help your children develop self-esteem, confidence, independence and many more life skills that will help them succeed. Summer camp helps you raise children who turn into leaders, thinkers and doers. Summer camp gives your children the ability to learn and discover who they are away from their everyday lives. Summer camp gives you a safe space to allow your child to grow. 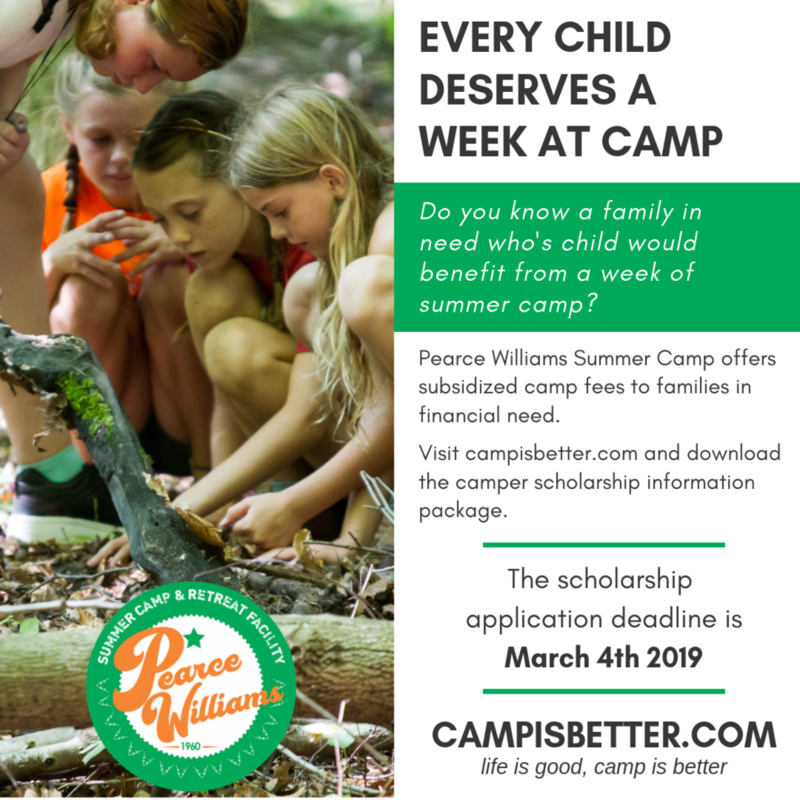 Pearce Williams is summer camp. You want the best for your child and so do we. Register for camp today. Give your child the gift of camp. View our 2019 dates and rates here.